In Windows 7 and 8.1, we used to be able to set the title bar color to whatever we wanted, either a solid color of our own choice or a color that matches the theme. Not any more in Windows 10. 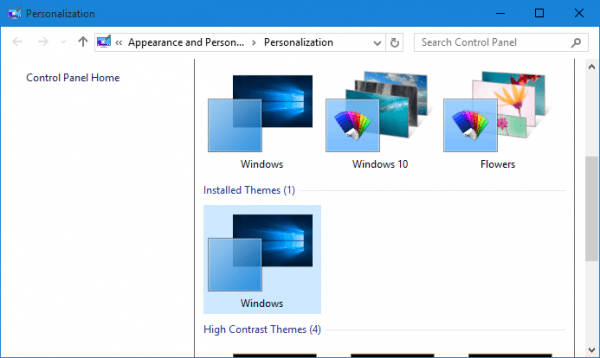 While most of the time I am ok with a plain white title bar on every window I open, I do miss the colorful one existing in Windows 7 and 8.1. 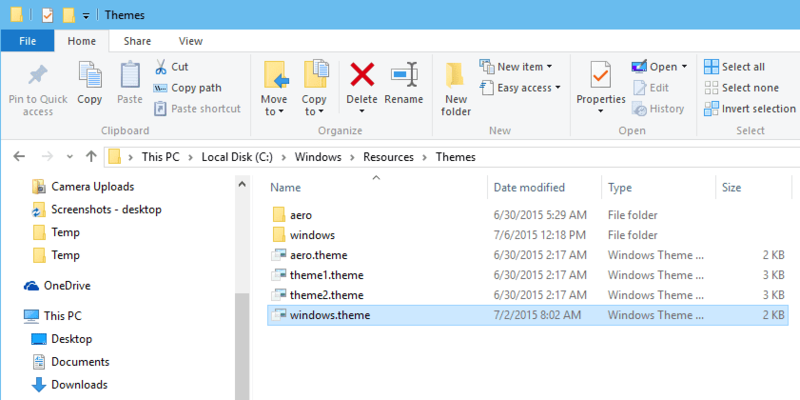 Thanks to Winaero for making this to happen in Windows 10. First of all, download the customized ready-to-use theme file from below. Highlighted files in the screenshot below are the ones copied over. 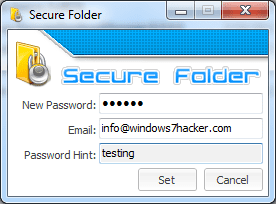 Then, double-click Windows.theme file, the screen will flash for a few seconds, when it comes back, you will have a blue title bar appearing in all window you have them open. Now, if you want to change to a different color, right-click on the Desktop and click Personalize. 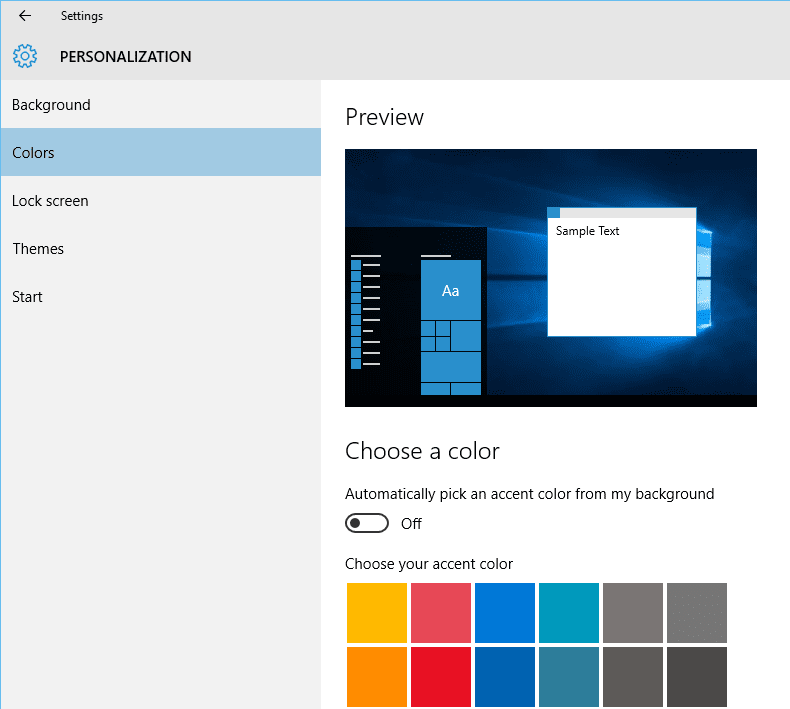 Go to Colors tab, and either pick one of many preset accent color, or switch on the option that automatically pick an accent color from my background. I like the latter option better, and here is what looks like with the default theme with the Windows 10 Hero wallpaper. It seems pretty easy to make this happen so I have no idea why Microsoft hasn’t turned this feature back on. But I do hope it will come back in the final release.